I have been deputized by Erin Ryan to bring you this latest edition of DUDEFIGHTS: Some fella is suing MillerCoors for daring to call Blue Moon a “craft beer.” Oh hey, it’s your college boyfriend! A class action suit filed last week says the company is engaging in false and deceptive advertising. 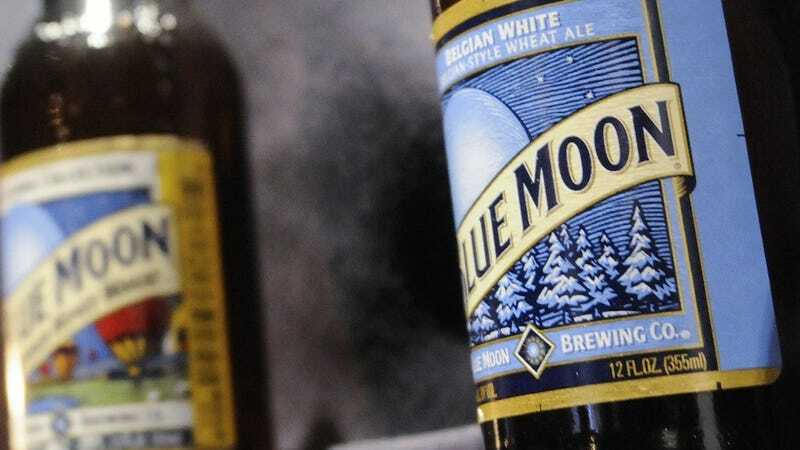 It points to MillerCoors’ production of 2.4 billion gallons of beer per year, as well as the fact that the Blue Moon website doesn’t mention MillerCoors, even though theMillerCoors’ website plays up Blue Moon. Bottles and cans of Blue Moon leave out its corporate parentage. The suit also points to the MillerCoors trademarked term, “Artfully Crafted,” used on the website and in marketing materials. Unlike other lawsuits that have alleged that particular labels are misleading, this lawsuit is going after the whole marketing scheme, food and beverage attorney Lindsey A. Zahn tells Quartz. “This [suit] doesn’t talk too much about the label,” she says, adding that the company is using “Artfully Crafted” in advertisements more than on bottles. “It doesn’t seem like they’re saying this is a craft beer,” she says, comparing it to the recent lawsuit against Tito’s Handmade Vodka which uses the word “handmade” on the actual bottles. It’s been filed as a class-action suit, but so far, there’s only one dude who’s signed on, and he’s repped by an old friend. Just a couple of dudes, taking on some corporate dudes.